If the story making round is anything to go by, then Biafra’s future President has abandoned his people and has fled for his dear life. 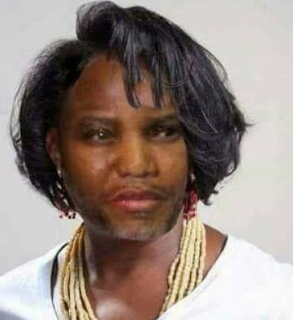 Though it was earlier reported in the media that Kanu who dressed as a woman escaped through an illegal border between Nigeria and Cameroon in Cross State where he travelled to Malaysia, former Abia state Governor Dr Kalu confirmed yesterday that the IPOB boss has arrived London. In an interview published in a national daily on October 1st, Kalu said Kanu bolted away to London from Malaysia. 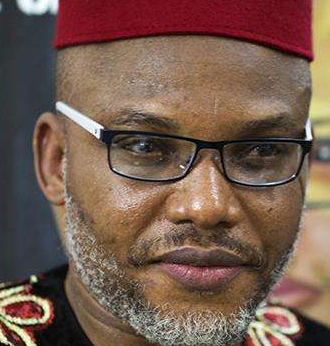 Kanu’s relations were however upset with Kalu yesterday after the former governor leaked the best kept secret of the separatist leader who has now aborted his vision for Biafra.